There´s also some news from Manfrotto on the regular video tripods -- the two new twin-tube carbon tripods have three segments and a newly developed leg locking mechanism that is designed to give them greater torsional stiffness than the aluminum versions (546B, 546GB, 545B and 545GB). In addition, new rubber feet equipped with spikes are included. Compared to the 537SPRB, the centre column should be lighter and more stable. Two versions are available, one with a middle spreader and one with a floor spreader (both removable). The tripods offer a maximum working height of 153 cm (with middle spreader) or 158 cm (with floor spreader) and a packing size of 69 cm. 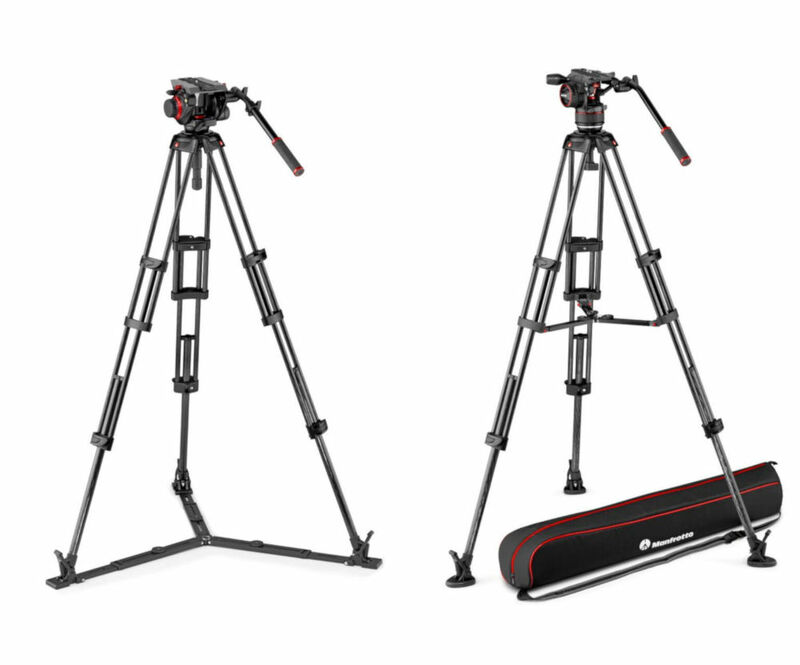 Supporting loads of up to 20 kg, the tripods themselves weigh 3 kg or 3.27 kg (with ground spider). They are equipped with a 100 mm half-shell; a 75 mm aluminium adapter is also included. They are available either without tripod head for 743,74 Euro each, or with 504 video head for 1.150,33 Euro, with Nitrotech N8 for 1.318,91 or Nitrotech N12 for 1.467,66 Euro.